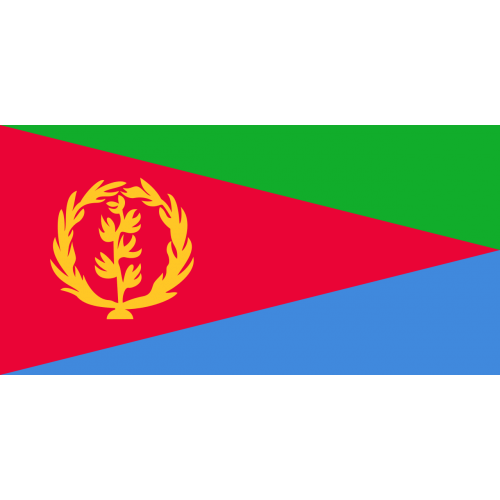 Eritrea Flag - This flag design dates back to 1993, with changes occurring in 1995 to the ration (from 2:3 to 1:2) and has remained the same since. 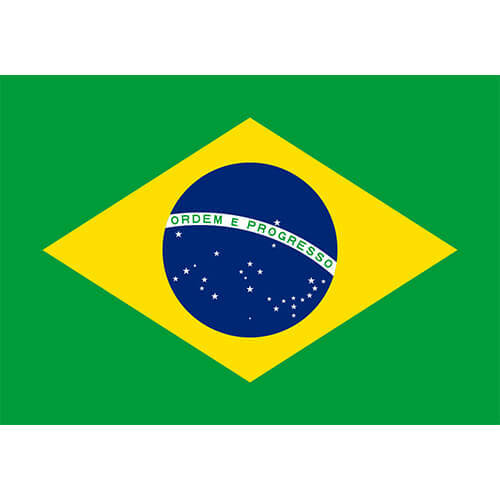 The design consists of a red isosceles triangle based on the hoist side with a gold emblem in the center of it (olive branch surrounded by an olive wreath), with two right triangles on either side in green and blue. 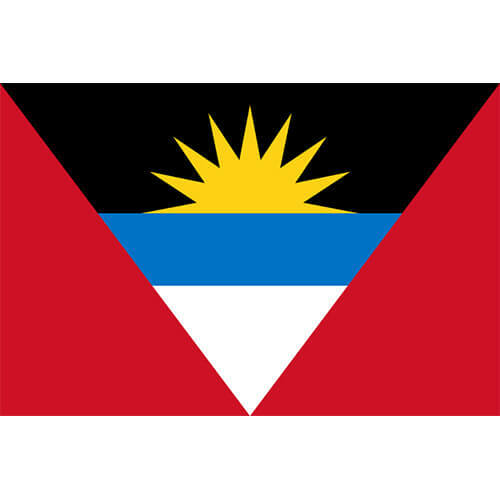 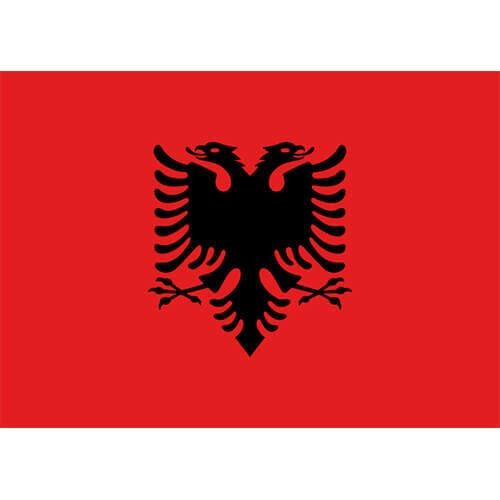 The shape of the red triangle also mimics the shape of the country, while the colour red represents all the blood spilled in the fight for freedom. 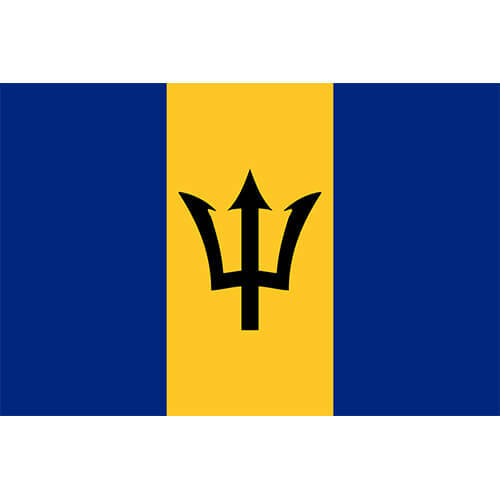 The green stands for agriculture and the livestock, and the blue for the sea.